Every week in the 2018/19 season, Football-Oranje’s Michael Statham gives you his predictions and betting tips for each Dutch Eredivisie round. Michael competes against a different special guest each week. This time, it’s Northampton Town’s Dutch striker Kevin van Veen, who gave his predictions following a recent interview with Football-Oranje, which you can watch by clicking here. Michael’s prediction: For sure NAC will make if difficult for Ajax in spells on Saturday, but they won’t be able to contain the Ajax attackers for very long; the strikers are far too mobile. 1-4 | Tip: Ajax -1.5 Asian handicap. Michael’s prediction: Recent wins for the league’s bottom sides have lead to these two teams within danger of ending the weekend in the relegation zone. PEC were lackluster a fortnight ago and ADO have struggled to create many chances in any of their recent games, including a big fat zero shots on target in a home defeat to AZ last time out. A low quality match awaits but I think home advantage will make a difference. 1-0 | Tip: Under 2.5 goals. Michael’s prediction: Heerenveen are PSV’s Eredivisie bogey team. Even at home, PSV have only defeated the Frisians twice in the last five occasions. However, after watching how poor Heerenveen were in their 2-0 derby defeat to Groningen, I have little confidence in them getting a result in Eindhoven. 4-0 | Tip: PSV -1.5 Asian handicap. Michael’s prediction: After a promising start, Heracles are back to Earth following only one win in six (in all competitions). I thought they were unlucky though not to score in their 0-2 defeat to Feyenoord last time out and they may find more success in Sittard. A difficult match to call, so I’ll predict an entertaining draw. 2-2 | Tip: Both teams to score. 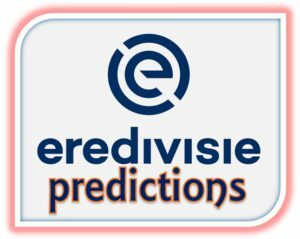 Michael’s prediction: Excelsior’s form is beginning to concern me as I considered them as a decent Eredivisie outfit; they’ve just conceded 15 goals in three games. I think we’ll see a different side travelling to Emmen though which will be tighter. 1-2 | Tip: Both score no draw. Michael’s prediction: I think this will be fairly straight forward for Utrecht. The hosts have had issues this season in finding a reliable goal scorer but they have enough movement and experience to keep out the visitors and put the pressure on to score at least a couple of goals. 2-0 | Tip: Utrecht -1.5 Asian handicap. Michael’s prediction: I sense a surprise could be on the cards here. Feyenoord are looking a little bit apathetic in games and usually rely upon the quality of their forwards to get them results. I’m being brave by predicting Groningen to come away with a result but I am impressed with the way Danny Buijs seems to be turning his side’s fortunes around after a disastrous start to the campaign. What’s more, Ritsu Doan is developing into a quality player. 2-2 | Tip: Over 2.5 goals. Michael’s prediction: Vitesse have a serious opportunity to go into the Winter break in a strong position amongst the top four or five with this being their most difficult fixture before Christmas. This one is the most difficult to predict from this weekend and I think it could be a close and entertaining match. The difference could be that Willem II may freely surrender more possession to the Arhem side when under pressure from their more illustrious visitors which could prove costly. 1-2 | Tip: Over 2.5 goals. Michael’s prediction: Who would have thought these two teams would be sitting side by side in the Eredivisie table at the end of November? The reality for AZ is that they are becoming boring to watch. John van den Brom has sacrificed attacking flair for results which is somewhat working, but I almost lost interest in their narrow and scrappy 0-1 victory at ADO. VVV are better at playing the tight game and with their on-loan Togolese striker Peniel Mlapa causing the damage of late, AZ’s sometimes calamitous defenders may be sweating once again on Sunday afternoon. 2-1 | Tip: Both teams to score.